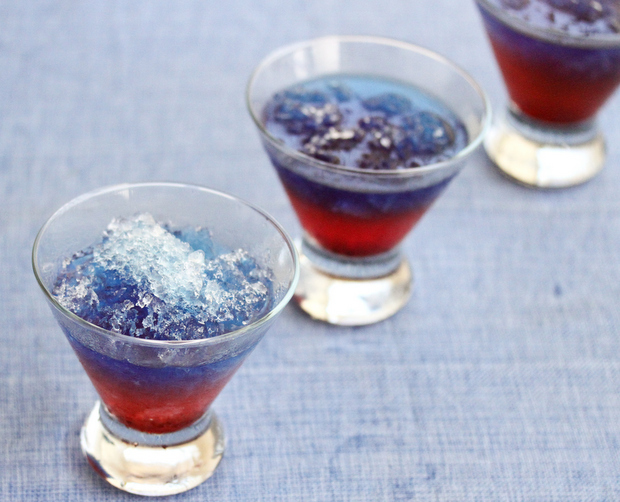 I haven’t had much time to do holiday recipes this year, so I’m really happy I was able to make this drink before July 4th. I had a snow cone drink for the first time at Dave and Busters recently. 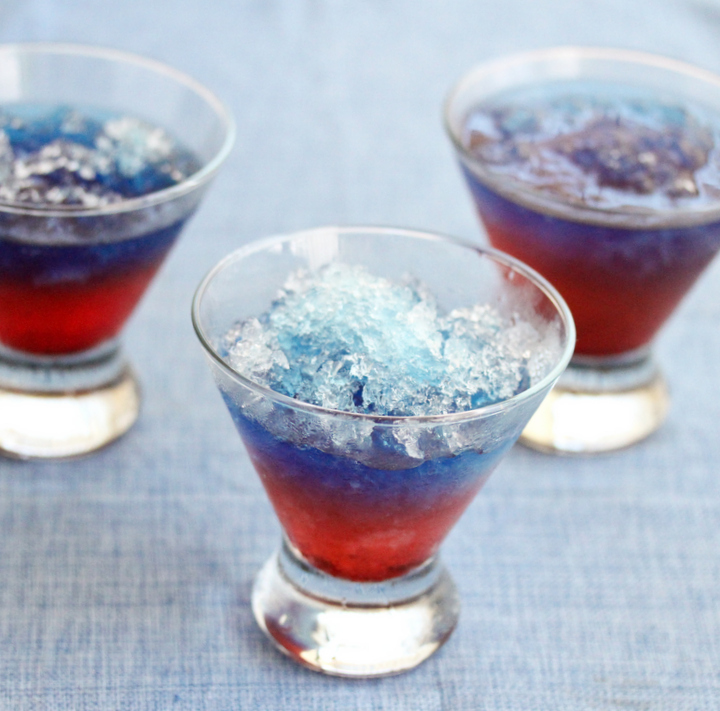 I thought it was such a fun twist on an alcoholic beverage and decided to make my own red, blue and white ones for July 4th. I had to fiddle and play around with my colors to get a version that wouldn’t end up just being purple. Also I was surprised at how fast my ice melted. It’s probably because I used my shaved ice machine which shaves the ice more finely than the typical crushed ice in a snow cone. Once I figured it out though, it’s pretty easy to make. And looks so cool. 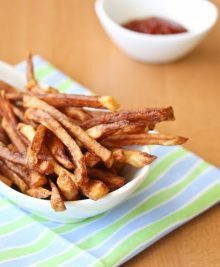 Perfect for a summer July 4th bbq party. Of course you’ll have to serve them right away or they will soon melt. 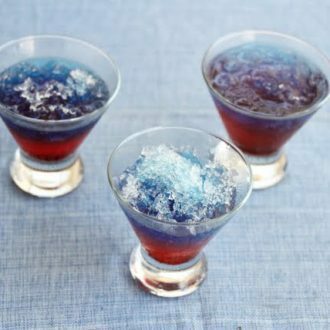 This version is alcoholic though you can make a non-alcoholic one too if you replace the blue curacao with something else, perhaps a blueberry juice or just some blue food coloring mixed with the soda. 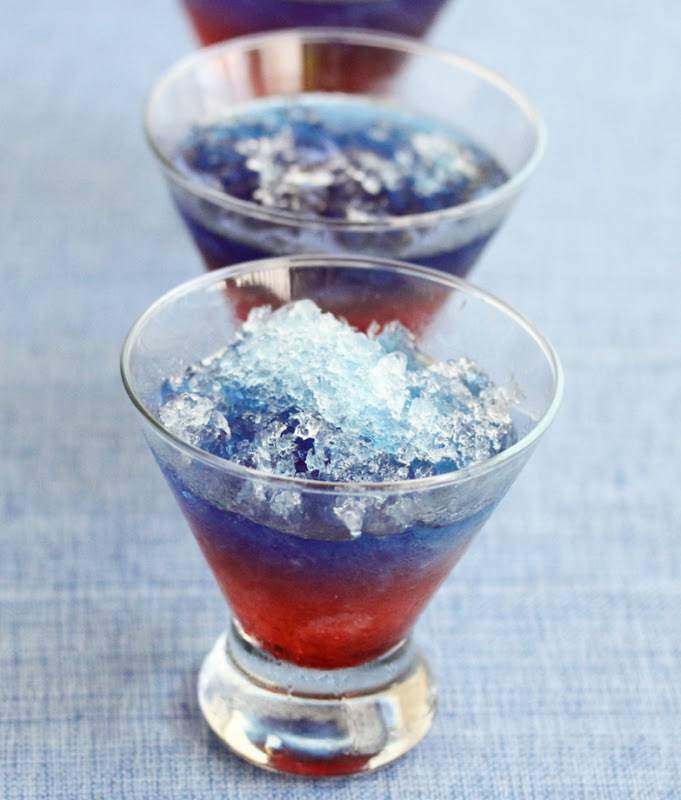 These snow cone drinks are perfect for the 4th of July! 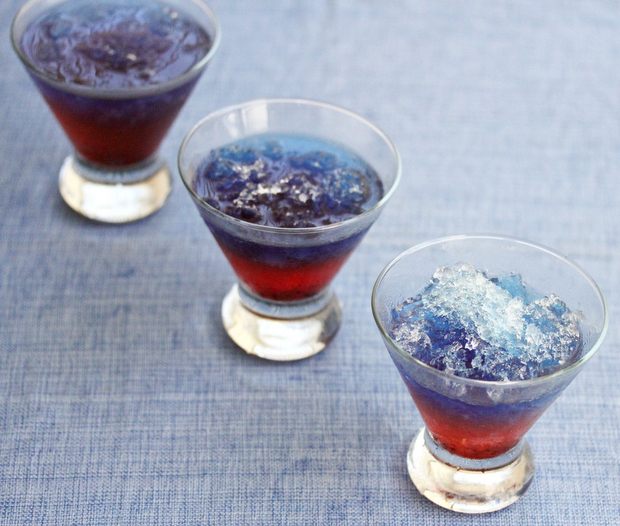 Heap cup with crushed ice, going above the top of the glass as the ice will melt quickly. Add in enough Sprite to fill most of the glass. Pour in the grenadine and let it settle at the bottom. 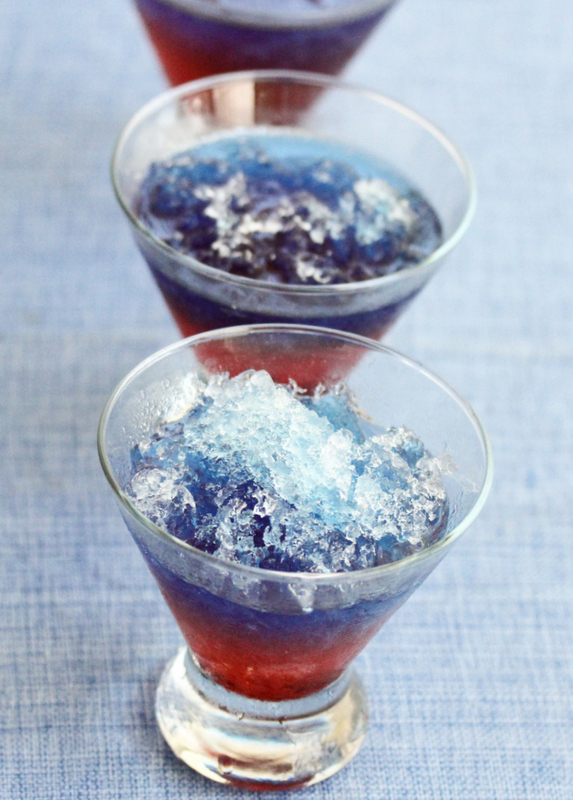 Carefully pour the blue curacao over the top of the ice so that it does not completely sink and stays on top. What a very pretty drink! 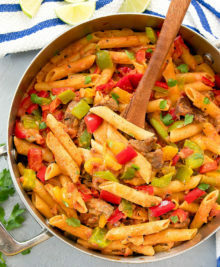 Perfect for July 4th! Hehe, I was really happy with them. Even bought the cocktail glasses just so I would have a cool glass to serve the drinks in.